On a previous post of my top five favorite jazz albums, I neglected quite a few of my favorite jazz albums. I love so many, so these lists are just going to be albums I really love at the moment. 1. Hank Mobley "Soul Station"
Hank Mobley was a hard bop saxophonist. I love his playing for its subtlety and melodic ideas. He has an amazing soulful tone. When he improvises there is a definite logical order, and he interacts with the rhythm section a lot by repeating ideas so the rhythm section can catch on and respond to him. I especially love this album because of the personnel: Hank Mobley on tenor saxophone, Wynton Kelley on piano, Art Blakey on drums, and Paul Chambers on bass. Everyone in the band has a lot to say, and they all communicate well. 2. 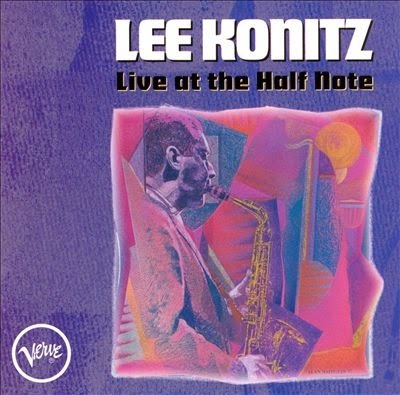 Lee Konitz "Live at the Half Note"
I never really listened to Lee Konitz until last summer when every week I made a playlist of a jazz artist that I didn't know much about, and listened to them for a couple hours a day. Lee Konitz was the first musician I did this for, and I discovered how much I love his playing. Lee Konitz is known for being part of the "cool school" of jazz, and also for his work with pianist Lennie Tristano. This particular album has Lee Konitz on alto saxophone, Bill Evans on piano, Warne Marsh on tenor saxophone, Jimmy Garrison on bass, and Paul Motion on drums. I love Lee Konitz for his lovely tone and melodic, rhythmic solo ideas. This albums is one of the most beautiful albums I have ever listened to. This albums is a set of standard ballads, yet Dexter Gordon brings so much life to each song. His tone is big, and vocal-like. It is said that once Gordon stopped playing a song at a performance and apologized to the audience because he forgot the lyrics- which shows how much he genuinely cares about emoting the intention of the song, What I enjoy about this album is that when he improvises over the ballads, there is so much care and love for each note. 4. Thelonious Monk and John Coltrane "Thelonious Monk with John Coltrane at Carnegie Hall"
Lately all I want to listen to is Thelonious Monk. I love Monk's compositions, and his very individual style of playing. Monk's songs are very simple, and repetitive, but also very edgy. I love this particular album because Coltrane and Monk have such a unique partnership. Coltrane flies when he improvises on this album. Monk has many melodic ideas, and plays with such rhythmic intensity. A lot of the time he keeps on repeating his ideas, and sometimes he purposely clashes with the harmony or the set rhythm just to emphasize an idea. 5. 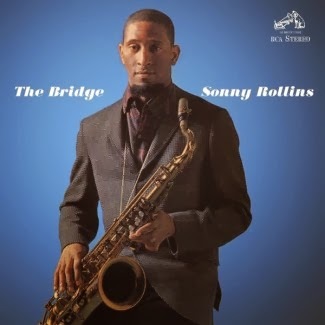 Sonny Rollins "The Bridge"
In 1959, Sonny Rollins took a three year hiatus from performing in order to hone in on his playing. He would practice up to sixteen hours a day on the Williamsburg Bridge all alone. After this time of seclusion, Rollins came out better than ever, and made this album. I also really like Jim Hall on guitar on this album- he has a very clean sound. My favorite song on this album is "Without a Song", and I have listened to it so many times I can sing Rollins's entire solo. Rollins has such melodic ideas, a clear sense of time, and a beautiful tone- I just love listening to him! There are so many saxophonists that have influenced jazz music. The greats have such an individual voice, so it's fun for me to listen to each of them. It's also fun for me to find biographical information on jazz musicians, and try to see how their lives and personality affected their style of playing. Leave a comment below saying your favorite jazz saxophone album!